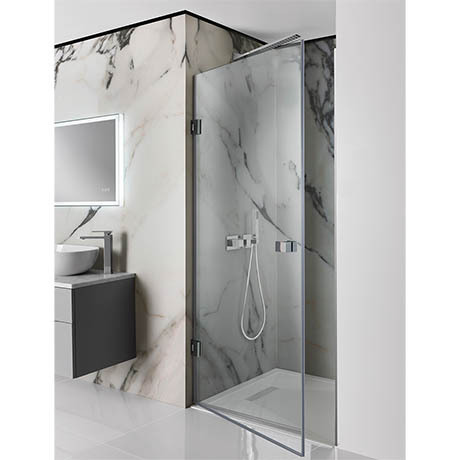 The Zion Hinged Shower Door features a modern design combining a frameless design with stainless steel detailing. Its 10mm toughened glass panels come treated with Simpsons Clear which is stain resistant and prevents limescale build-up. The hinged door is available in 2 sizes and can be combined with a side panel (sold separately).